Last week, Isabella and I, had invited some friends over for lunch. I enjoy having guest over, especially when I get a chance to cook. On this day, I knew the kids would be hungry so I tried to plan something easy for them. They had a choice of several things but chose to stick with an old stand by…peanut butter sandwiches. Along with their sandwiches they had green beans. LOL You can't beat that…4 yo's that want green beans! For the adult portion, I chose to go with a couple of salads and french dips. I was starving by the time lunch came around and this hit the spot. For dessert, we snacked on V Chocolates…LOL YUM! The lunch turned out great with everyone having full tummies, lots of playing and discussions shared. Friends are wonderful and having them for lunch is a bonus! Prepare you Au Jus according to packet instructions. Place you roast beef in the juice to warm the meat. Turn your broiler on. Lay two pieces of provolone cheese on your hoagie bun and broil for a few seconds, until cheese is melted. Remove your beef from the au jus and let sit for a moment to drain the juice. Add your French's Onions to one side of the bun and the beef on the other. This is ready to serve. 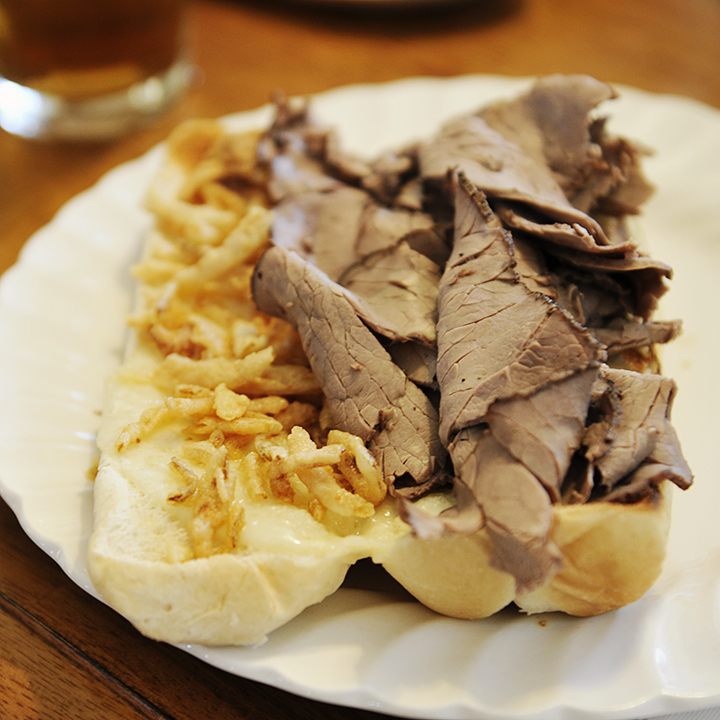 You can also add pickles or any other condiments that are special to your french dip sandwich. 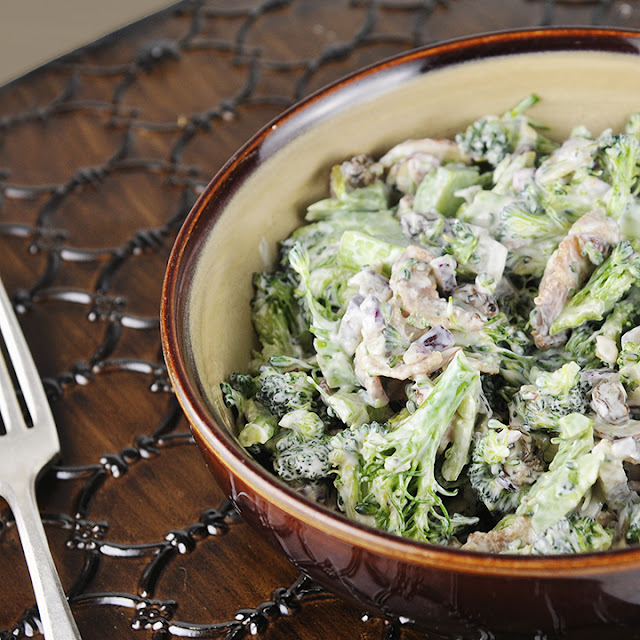 Wash and chop your broccoli into bite sized pieces. Prepare your bacon and chop into small pieces. Mix the first 5 ingredients together in a medium size bowl. In a smaller bowl, prepare your dressing. I have not given specifics on the apple cider vinegar because it's purely based on your taste buds. I do start with the 1/3 cup of mayo and add a cap of cider vinegar at a time with a sprinkling of sugar. Start small and work you way up until the flavor is perfect for you. Combine the salad mix and the dressing together. 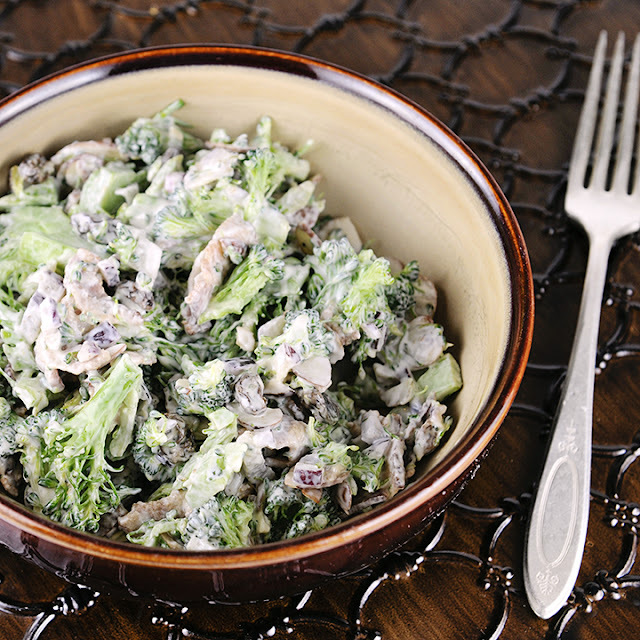 This recipe works best if it can be refrigerated for a few hours before serving. This gives everything a chance to blend together.